The centre will close from Monday, April 29 and it is anticipated that it will re-open in mid-October. Staff currently employed will be redeployed to other nearby Council facilities. Gym memberships are valid in other Mid Ulster District Council facilities, or members can choose to have memberships frozen and then reinstated once the centre opens. 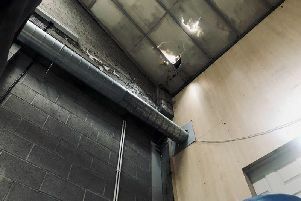 Arrangements are being made to provide courses in nearby Council facilities, such as the weekly yoga classes which will now happen in Ranfurly House, with other gym and fitness classes and activities taking place at Gortgonis Playing Fields, Coalisland, and swimming lessons in nearby Cookstown Leisure Centre. Calls to the Centre will be rerouted to the Dungannon Park switchboard and referred to dedicated leisure staff.